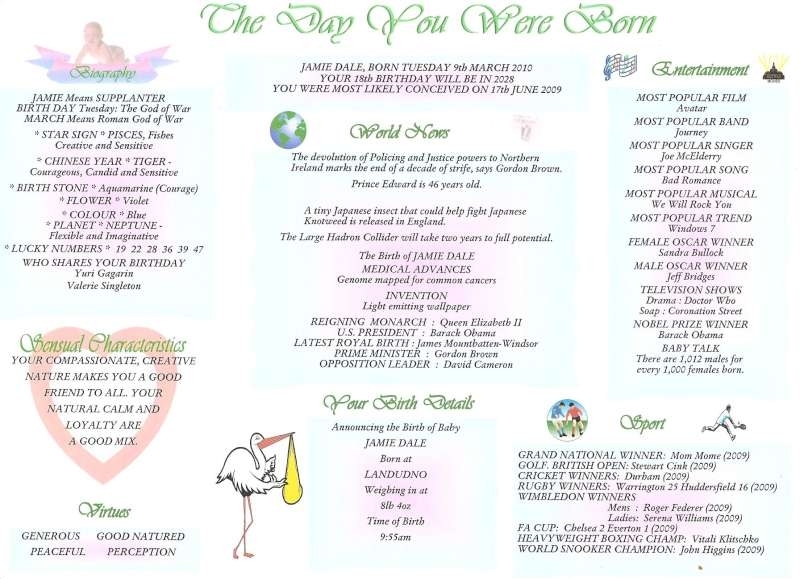 An beautiful chart detailing many current world wide events to help celebrate the birth of a new born child. 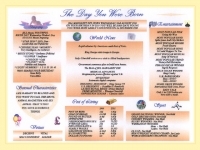 This chart would make an ideal gift for a childs Christening and would make an wounderful addition to a Baby Book. The chart is personalised with the childs name, date, time and weight at birth. The chart will then create a Biography which includes the meaning of the name, day and month born. Summary of star sign and the Chinese Year born in. Summaries are key Sensual Characteristics and Vertues. A list of Current news form the worlds Film, TV, Sport and Music.